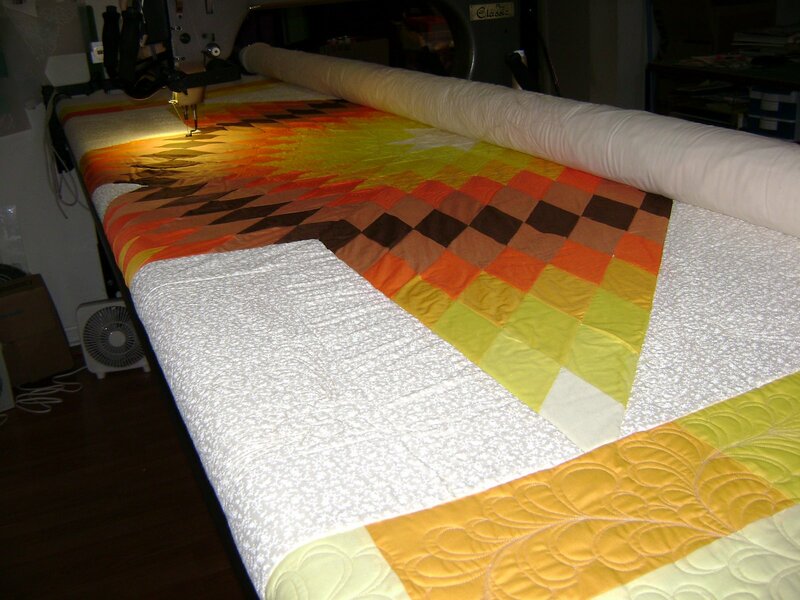 I was just a quilting away enjoying the work I’ve been doing on this quilt. See, the center is starting to fill and not sag any more. When the phone rings and I got one of those phone calls. You know what I mean? One of the phone calls that remind me a deadline is looming. I knew things were going much too smoothly. So this one comes off the machine. Thank heavens for zipper leaders! This one goes on the machine. It has to be finished and in the mail by Monday or Tuesday. So once again I’ve got myself behind schedule. I hate when I do that. I will be gone Friday and Saturday so today and Sunday are going to be filled with working on this quilt. I really thought I had until May 1st to finish this quilt. I miss interpreted the letter sent with it. She does need it by May 1st….. but it must also be bound and sent off by her on May 1st. Which means I have to have it back to the owner in time for her to do the binding. If I get it finished and in the mail to her by Monday then she should have it when she returns from Paducah next weekend. I guess it’s a good thing I had decided not to go to Paducah myself this year. Hmm…. there goes my plans to work on my cardboard furniture Sunday evening and possibly my plans for Saturday. Bummer! I’ll have to see how the quilting goes today before deciding on cancelling my plans for Saturday. 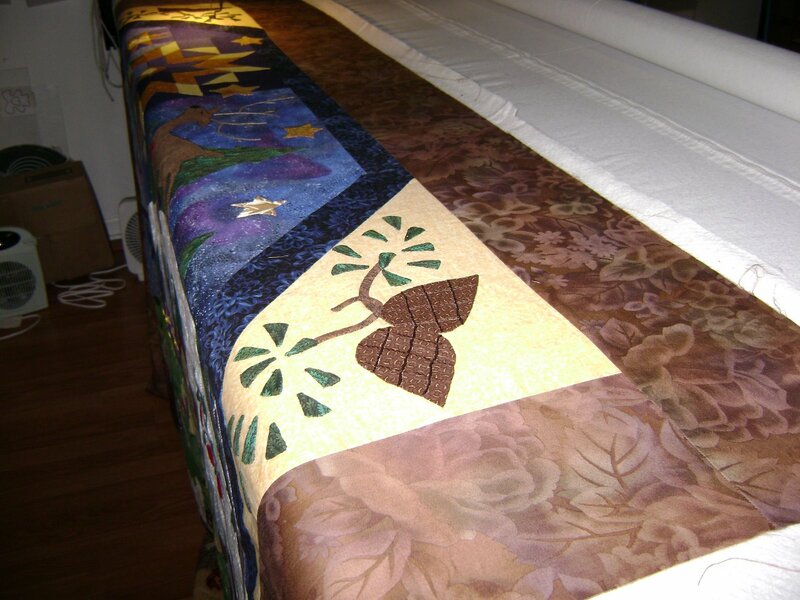 This entry was posted on April 16, 2009 by Anita in Contest quilts 2009, Issue quilts 2009, Quilts of 2009.